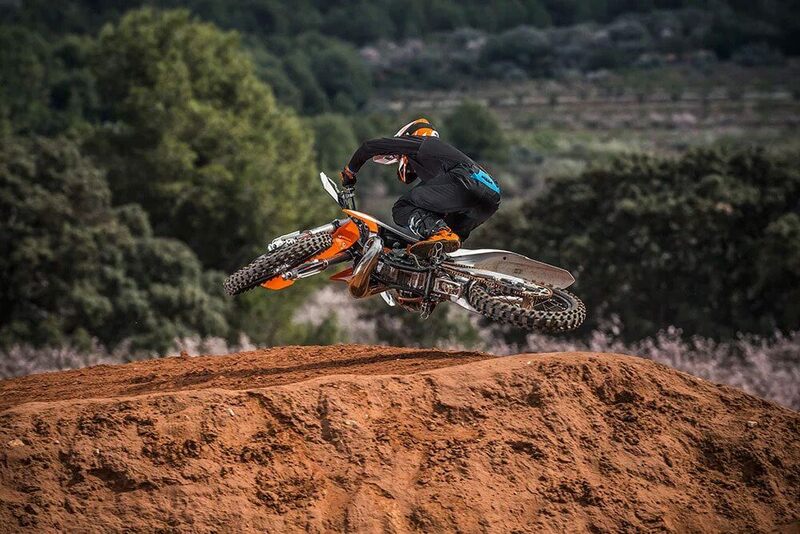 The cylinder on the KTM 250 SX has a bore of 66.4 mm and is fitted with a Twin-Valve powervalve system. For 2019, the exhaust port has been machined to provide more precise power valve function, improving overall power delivery. By using two supplied springs, the power characteristics can be changed quickly and easily, ensuring the optimal settings for different tracks and rider preference. The lateral cylinder head brackets are now made of aluminum instead of steel and reduce vibration to levels of insignificance. The compact engine cases are manufactured using a high pressure die-cast production process that helps with weight reduction, while retaining strength and durability. The design allows for optimal shaft arrangements closer to the center of gravity, resulting in perfect mass centralization and easier ride-ability. Plus, the new engine covers feature a smart surface structure that reduces wear caused by the riderâ€™s boots, keeping them looking as fresh as the day you bought it. 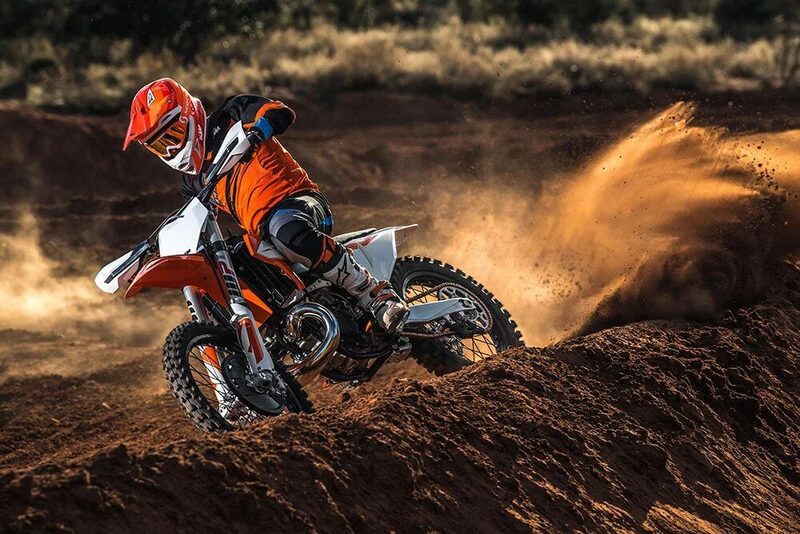 The engine has a strong 5-speed gearbox built to suit any kind of motocross track. The gear ratios were developed specifically to match the power delivery of the 250cc engine. The gearbox also features a NO DIRT gear shifter. Similar to the foot peg design, it prevents the build-up of dirt and ensures the next gear is always available, no matter what the conditions. No more numb hands and feet. This engine design allows for the addition of a lateral balancer shaft, which helps keep engine vibrations to a minimum. This means you can keep charging harder, for longer. 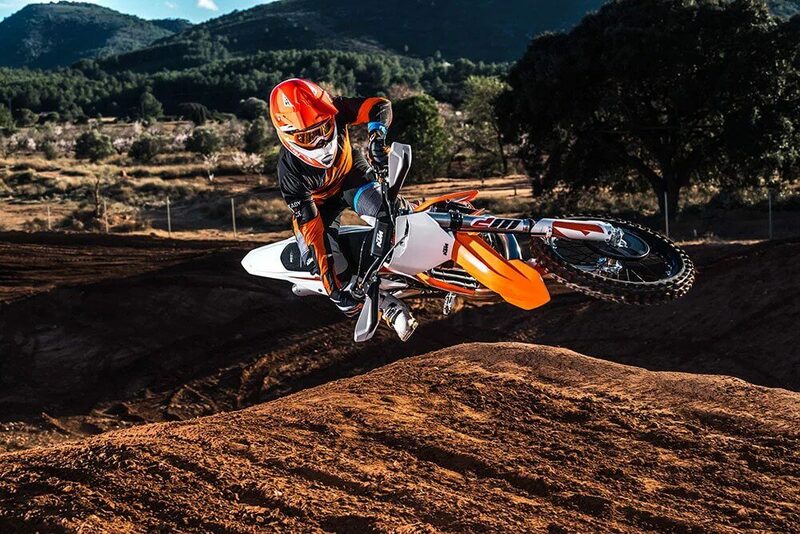 The KTM 250 SX is fitted with the extremely durable, KTM-developed DDS clutch (damped diaphragm steel), with a wear-free steel basket and heat resistant clutch plates. It uses a diaphragm spring instead of the usual coil springs, which results in considerably easier clutch action. The diaphragm spring is also compact enough to allow for a damping system to be integrated into the clutch hub, contributing to better traction and durability. Additionally, the Brembo hydraulic system provides easy and precise clutch modulation. The KTM 250 SX is fitted with a MIKUNI TMX carburetor. The settings on the 38 mm flat slide carburetor have been adapted to suit the new airbox and exhaust design, providing smooth, controllable power all the way through the rev range. Maintaining the optimal engine temperature is crucial to ensuring consistent horsepower throughout the ride. 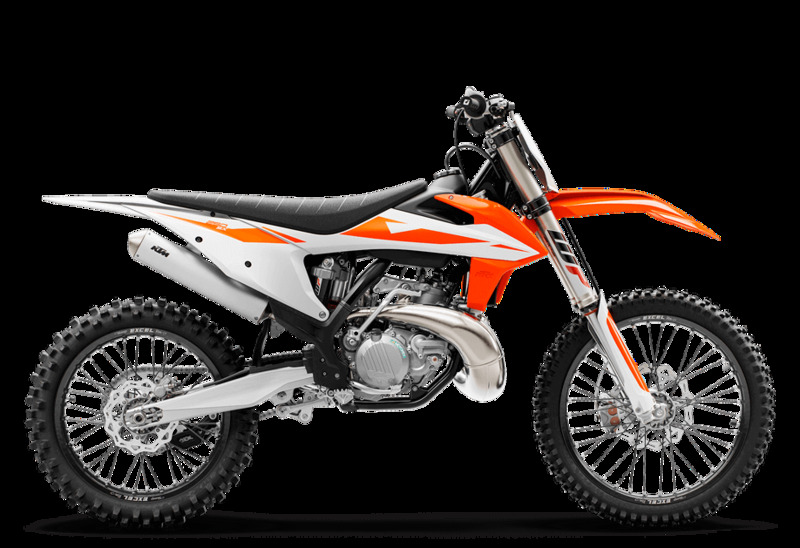 The KTM 250 SX features newly designed radiators which are mounted 12 mm lower than the predecessors. This lowers the center of gravity and matches the design of the new shrouds perfectly, in order to achieve perfect ergonomics. By using CFD technology (computational fluid dynamics) together with a clever coolant circuit routing, the innovative system ensures the optimum engine temperature for the highest performance, no matter what the conditions. The radiators also feature special protectors that donâ€™t only serve as protection from flying rocks and debris but also as a brace that disperses energy around the radiators in the event of an impact. At the heart of the engine, the crankshaft features a 72 mm stroke that produces the optimal torque and revs. It has been ideally balanced and with the aid of the counter balancer shaft, resulting in minimum vibration. The crankshaft is placed in the perfect position to centralize mass, contributing to better agility and handling. The frame on the KTM 250 SX is brand-new and crafted from hydro formed Chromium Molybdenum steel tubes. It is robot welded for better consistency and improved quality. The improved stiffness has been specifically tailored to balance agile handling and comfort. The revised frame is designed to work in unison with the suspension for excellent high-speed stability. The frame also features "no-dirt" footpegs which have a simple but effective self-cleaning system that ensures the footpegs return to their original position, providing complete control in all conditions. The engine in the KTM 250 SX frame has been raised by 1° around the swing arm pivot, improving the handling and the grip of the front wheel. New aluminum headstays drop weight further. For 2019, all SX frames feature the same highly durable powder coating as the KTM Factory machines and come with standard frame protectors. The lightweight aluminum subframe is 40 mm longer to improve rear fender stability. 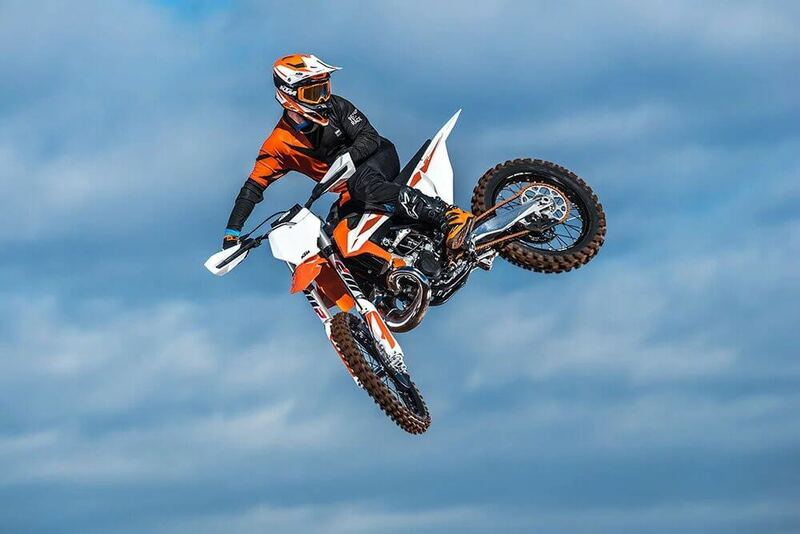 The KTM 250 SX features an improved one-piece swing arm with 5 mm longer axle slots that allow greater wheelbase adjustment to suit varied conditions for tight turns on SX type tracks, or more straight-line stability when it gets fast and rough. Manufactured with a gravity die-cast process, the swingarm has exceptional strength at the lowest possible weight. The chain measurement markings on the swingarm are visible from above, making chain adjustment simpler and more accurate. The new airbox on the KTM 250 SX has been completely reworked to ensure better flow dynamics, and together with new intake snorkels, leads to optimal power and throttle response. Despite the obvious performance enhancements, the new design also offers maximum protection against soiling of the air filter. The large Twin-Air air filter is mounted on a cleverly designed stiff cage that minimizes incorrect installation. As found on previous models, filter maintenance is quick and easy and does not require tools - a standard, original feature from KTM. All full-size SX models are equipped with the same high-strength aluminum tapered handlebar, made by NEKEN. The handlebar is fixed in rubber damped mountings, which allow for two different positions. The handlebars come standard with an ODI vulcanized grip on the right side and a comfortable ODI lock-on grip, which does not require any wire or glue, on the left. They also feature a reworked bar-pad with a newly designed cover that can be attached and removed a lot quicker and easier. These handlebars give the rider the ability to take control on the track, as well as the grip to hang on through that awesome 2-stroke powerband.